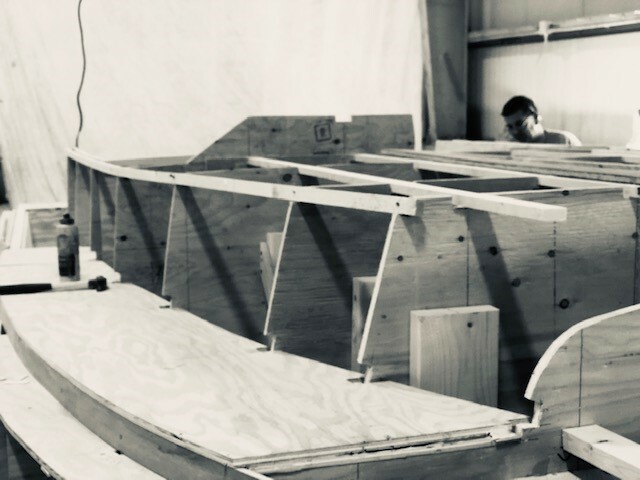 Our mission is to build quality boats that are seaworthy, sea-kindly, and to endure the toughest conditions found on the NorthCoast of anywhere. Our testing grounds are rugged, so we design and build them to be strong and tough! 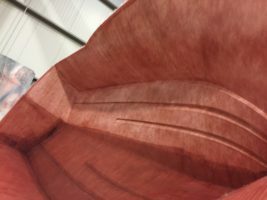 FRP integral grid system is foam filled for floatation, repels moisture, and transfers engine torque into speed, and stiffness, that makes your heart beat faster! We build them for a DRY Ride as the Sea demands it! 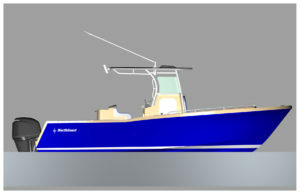 The true nature of this product is best witnessed on Stellwagen Banks as huge Blue Fin Tuna are being brought over the gunnels of even our smallest center or off Newport, Rhode Island where very large Striped Bass, Bluefish and many other species are the target. 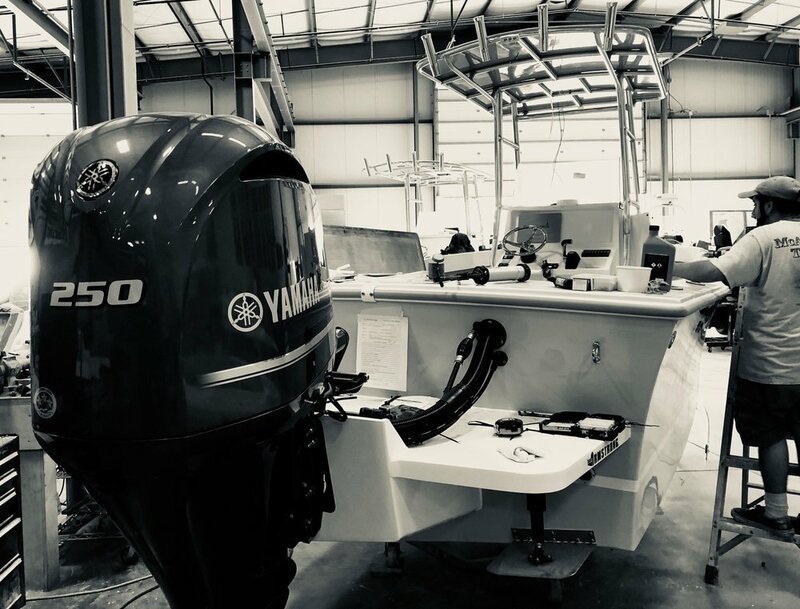 Being modest, (for Anglers) Our “fish to boat” size ratio likely has no equal. Latest CAD technology is utilized in support of our form follows function design philosophy. Simple and Strong! Must fulfill NCB promise- Rugged to last, Versatile to expand your fishing experiences, and Fishing Performance second to none. Construction Team of expert craftsmen, and in some cases multiple generations all work in a Family environment. Headed by Joe DaPonte, Rosa DaPonte, and their sons Cesar and Craig. 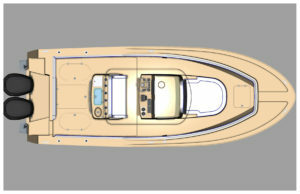 Assembly Room: Upon arrival, all hardware such as stainless steel fittings, deck hatch latches and hinges, are mounted on the deck sole part, while all below deck components are installed in the These include fuel tanks, fill hoses, filters, batteries, through hulls for head discharge, wire runs etc. 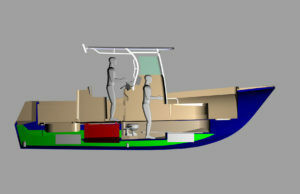 Hand rails, rod holders, SS cleats, anchor roller are installed on the foredeck and gunnels. The console is rigged nearby for steering, electronics, engine gauges, and compass.